Increased diameter from 62mm (stock size) to 64mm. 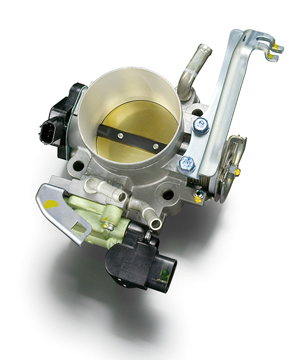 The inlet has also been increased to a diameter of 70mm which then tapers down to the throttle diameter of 65mm. Improvements in power through the extra air that this Big Single can now flow as well as improved response.